What's the connection between Fred Astaire and Wing Tsun Kung Fu? I have often been asked as to who is a role model for me, or how I motivate myself, even after decades of training. For me it's one and the same. We all need at one point or another a outside influence to boost our motivation, to re-evaluate our goals, and to make necessary corrections. Another question I receive fits in here as well: "How do I get better?" After all, finding out what or who influences us and our decisions, how we maintain a well motivated and positive attitude and how we reach our goals, doesn't this in part make us who we are, how we are being perceived by others around us? So, what now about role models? In my personal opinion this is an issue, which has to be carefully approached. Marcus Tullius Cicero said already "The authority of those who teach is often an obstacle to those who want to learn." Fred Astaire was one of the greatest dancers of all time. He spent seven decades with dozens of different dance partners on the stage, screen, and television. He has been characterized as music in motion. Long before I read this quote by Rudolf Nureyev, I had started to describe Wing Tsun Kung Fu as CorePower in Motion™. "His technical control and sense of rhythm were astonishing." "Astaire's execution of a dance routine was prized for its elegance, grace, originality and precision." Translation? Possible martial ARTS translation. "During fight scenarios, his technical control and sense of rhythm were astonishing." "The martial artists execution of a fight routine was prized for its elegance, grace, originality and precision." As I sometimes tell my students, bring some life into your performance. Show enthusiasm and dedication! Many people, among them Michael Jackson, have admired Fred Astaire's total discipline, his absolute dedication to every aspect of his art. He rehearsed, rehearsed, and rehearsed until he got it right. He was already a established professional dancer, singer and actor, yet for his 1936 movie Swing Time with Ginger Rogers, dance scenes were recorded as if gravity doesn't exist; after 350 hours of rehearsing! Threehundredandfifty hours for a few timeless dance scenes? Watch the movie and ask me again "How do I get better?" "It is not a secret, but then neither is it widely known, that Astaire's dancing was anything but an act of improvisation. Every step was carefully, fastidiously, mercilessly rehearsed. All that joy represented crushing hours of work, self-discipline, the artist's insistence on perfection." Fred Astaire, RIP - COPYRIGHT 1987 National Review, Inc.
Join me on Saturday, April 7th for a few words on when correction by your training partner is a hindering factor. After I have been thinking for quite some time about starting my own blog, I finally uploaded the first entry on Tuesday, March 20th 2007. The blog has been since a mix of micro articles. school announcements, another source of information for our students on top of the monthly print-newsletter, news e-mails, the online 'members only' area, the different web sites and more. Thanks for the feedback from our international visitors, who come back to read more little articles around and about Wing Tsun, like Traditional, Original, Modern, Modified? Which one is the right Wing Chun?, a mini three part series, or the recent entry ChiKung, CorePower in Motion, the never-ending challenge. I will continue the mix of school information and small articles as food for thought. I'll just hope to always find the time and opportunity to write. Thanks for keeping me on my toes and allowing me to share my thoughts. In the 90's I was used to following my Sifu and my Sigung to their seminars all over Europe, all the way from Italy up to Denmark. I visited my own schools in Germany on a regular basis, being every month in different cities. Thanks to the effort of John Kaiser of the Wing Chun Club in Langford and Ray Van Raamsdonk (www.springtimesong.com/), a Wing Chun teacher in Victoria with a long history in martial arts, a seminar weekend was organized. It reminded me of why I like to travel to seminars, why I enjoy teaching, why even after 23 years I still get passionate about explaining the very basic details of Wing Tsun Kung Fu, as if it is my very first day. It is about meeting very dedicated, friendly people, who are open-minded, willing to accept new ideas and eager to train hard. It is about the exchange of opinions, sharing experiences, further encouraging the growth of students and instructors alike who share common goals. Thanks to Ray and John for hosting the seminar, to your students for the very friendly welcome. It was a pleasure to spend quality time with you. Thanks to our students from Vancouver, who came over for the seminar; ... Gary K., Ciprian, Rob G., Trevor, Edmond, Philip and Neal. Thanks to Steve McMinn (www.stevemcminn.com), who quickly switched from powerful Lat-Sau drills to the camera, to take many photos and is currently writing a report about the seminar weekend experience. Many experienced Wing Chun practitioners participated in this Wing Tsun Core Concepts weekend, like Jason Siu from Victoria and Bill Reny of Surrey, head of the Pacific Coast Wing Chun Institute, just to name a few. Thanks for an inspiring weekend, sharing common ground and new ideas for practitioners of various Wing Chun styles. Many photos have been added to our Wing Tsun Kung Fu Vancouver online photo album. As requested by some of our members who enjoy a very challenging workout, this last Monday April 2nd 2007, we finally held another WingTsun-ChiKung class. The three hour evening featured different elements of the first form of this Kung Fu system, the Siu-Nim-Tau form. We view it as a beginners form, yet coming around full circle also as the form of the master. The evening contained the training of elements that greatly support the progress from a very slow short term stretching towards a long term lengthening of the muscular structure of the upper body, promoting a better usage of ligaments and tendons, a strong development of the fascia. I often use the analogy of a scale. On one side we try to become more flexible, gain mobility through relaxation, yet end up being somewhat weak and brittle under a strong attack. On the other hand we try to incorporate our strength, to build a upright yet deeply rooted positioning, ending up being too stiff and tense at times. Our goal is to leave a weak and brittle structure behind, and to get rid of tensions and stiffness. Imagine the scale now. Eventually we want to lead the idea and realization of relaxation and strength together with the tips of the scale evenly balanced. We want to form 'Wing Tsun Power' out of the right mix of a well-balanced relaxation of the right muscles and the strength of a well-connected muscular structure. Don't believe it until you feel it, until you feel the next morning muscles you didn't even think you have. 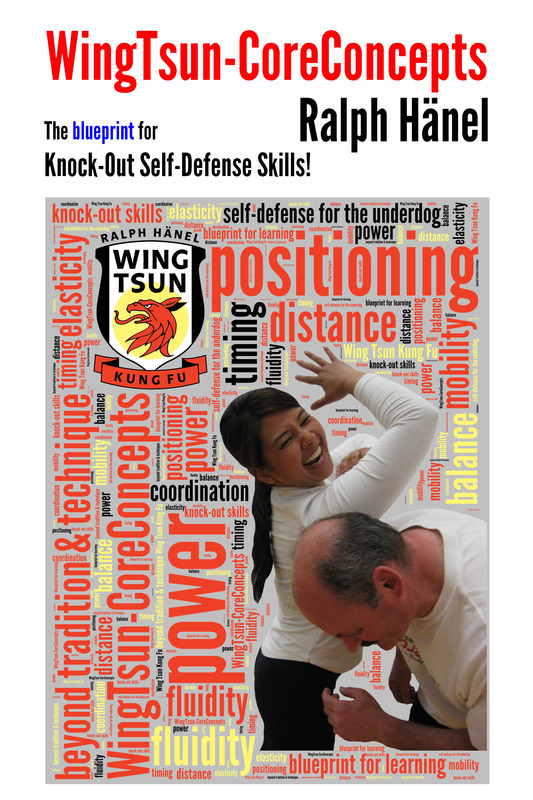 Check for dates of upcoming ChiKung classes at our web site at: http://realisticselfdefense.tripod.com/wingtsun_chikung_2.html. I am looking forward to see you for a exciting workout, true CorePower in Motion™. The upcoming May issue of the 'The Journal of Asian Martial Arts' (www.goviamedia.com) is going to publish a 20-page article on Wing Tsun punching methods. It's one of the very few in depth martial arts magazines on the market. "Via Media Publishing Company was founded with a specific quest in which research on Asian martial traditions could be published that reflected the highest academic and aesthetic standards possible. The first goal stemmed from a desire to establish a periodical in which authors, artists, and photographers could present high quality work concerning Asian martial arts. Thus, the quarterly Journal of Asian Martial Arts was founded in 1991. The Journal covers a wide variety of fighting traditions, from the well-known such as karate, taekwondo, judo, aikido, taiji, and Shaolin, to lesser known forms of self-defense. All forms of combat (striking, grappling, locking, kicking), traditional and modern, barehanded and with weapons." 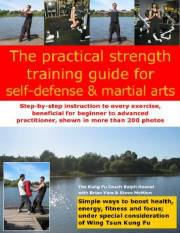 You will find two ads in the journal, one for my self-defense book and one for the upcoming strength training book. 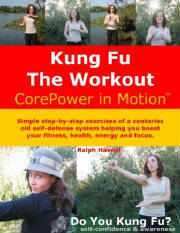 Find "The practical strength training guide for self-defense and martial arts" at www.kungfutheworkout.com. The release date is the end of April 2007. Buy "The Reality of Self-Defense!" now.